First of all You Need to Know that Most Of the Passwords are stored in Registry . So you Must Know How to access Registry … Also In Most of cases passwords are Encrypted so to decrypt you can google it for its decrypter…. HOW TO ACCESS REGISTRY ?? 3. Type “regedit” (without quotes) in the Run Box .After that this Windows Opens . Now you are ready to see that. LOCATIONS OF SAVED PASSWORDS ! The passwords are stored in a secret location in the Registry known as the “Protected Storage“. You can browse the above key in the Registry Editor (RegEdit), but you won’t be able to watch the passwords, because they are encrypted. Also, this key cannot easily moved from one computer to another, like you do with regular Registry keys. 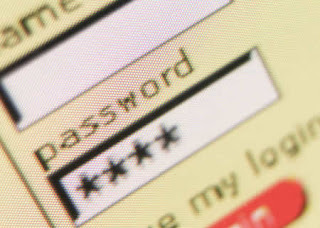 The new versions of Internet Explorer stores the passwords in 2 different locations. , together with login passwords of LAN computers and other passwords. Also, key3.db, located in the same folder, is used for encryption/decription of the passwords. The POP3/SMTP/IMAP passwords Outlook Express are also stored in the Protected Storage, like the passwords of old versions of Internet Explorer. Old versions of Outlook stored the POP3/SMTP/IMAP passwords in the Protected Storage, like the passwords of old versions of Internet Explorer. All new versions of Outlook store the passwords in the same Registry key of the account settings. If you use Outlook to connect an account on Exchange server, the password is stored in the Credentials file, together with login passwords of LAN computers. The account filename is an xml file with .oeaccount extension. You should search a filename with .s extension. The passwords are stored in the Credentials file, with entry name begins with “WindowsLive:name=”. The value stored in “ETS” value cannot be recovered back to the original password. All other passwords are stored in Digsby servers. Search the Decrypter on google for the Following Encryption method… You will surely Find It…Like md5 encryption etc..
how to get it from registry……can’t understand …how to use decryptor…..
Ur Welcome Rahul… We are transfering our site to new domain so we are off for 3 to 4 days.. Enjoy Now We are Back..
thanks alot sir.. nice to see u back again..